We offer 3 different packages, The Surfer Package, Beginner Package and a Yoga Package with 5 classes weekly as an add on to our surf packages. No matter if you are a novice or already a shredder, we have the right setup for you. Our packages are covering all your needs and we don’t have any specific starting days, which means you can book your trip on dates that are most suitable for you. Our Yoga package can be combined with both Surfer Package and the Beginner Package as an “add-on”. Yoga will make you surf longer and better! 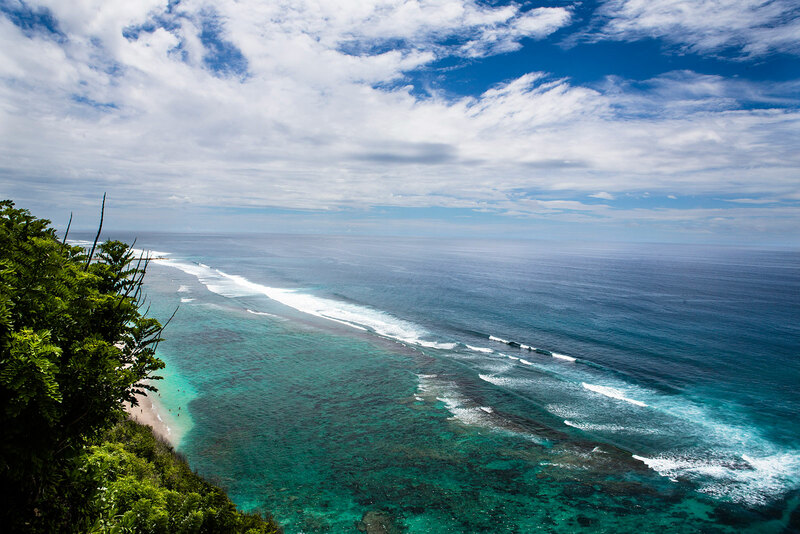 There are waves suitable for just about everyone from beginners to pros in Bali. Most of the surf breaks are easily accessible by road or boat and you can surf with only a few other people out, sometimes all by yourself. Our location provides a choice of both west coast and east coast surf, meaning that winds are offshore all year round, creating those azure blue waves that we normally only dream about! Top up your stay with some yoga classes. Our yoga instructors are experts in several fields and will surely help you surf longer and better! 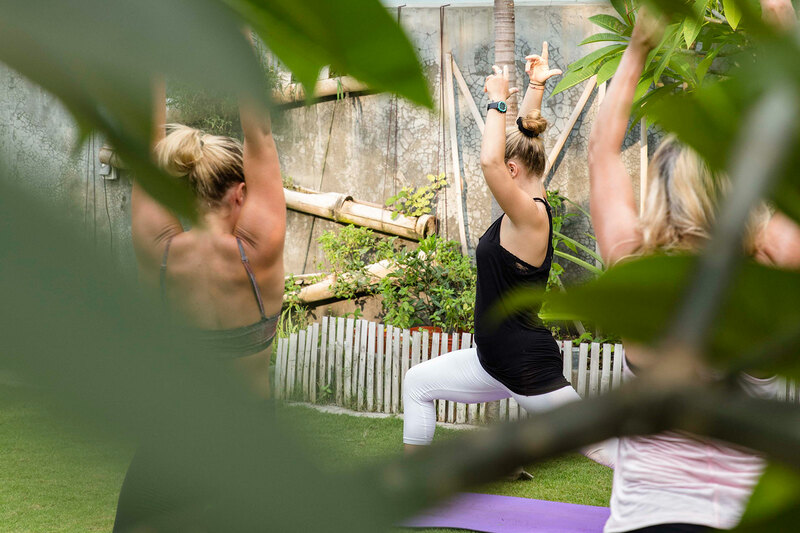 We include 5 classes per week, usually in our garden but also in different serene locations in Bali. The yoga package is booked as an “add-on” to our surf packages so just let us know when you send your inquiry. There is so much more to tell about when staying with us. Our misson is always to give you a exceptional holiday, in and out of the water. Here’s a short video that shows you what a week with us might look like.